As the dreaded exam season approaches for university students across the country, many are using their upcoming summer plans as a source of motivation to achieve the best results possible. For many students, one of the focal points of their eventful summer calendar will revolve around going to music festivals. As with the majority of leisure activities, music festivals can be very expensive. Aside from the ticket expense, festival goers should also factor in the cost of transportation, food, drink, clothing and any appropriate equipment. In fact, research has shown that an individual can expect to pay an average of £423.01 when attending any major UK music festival. 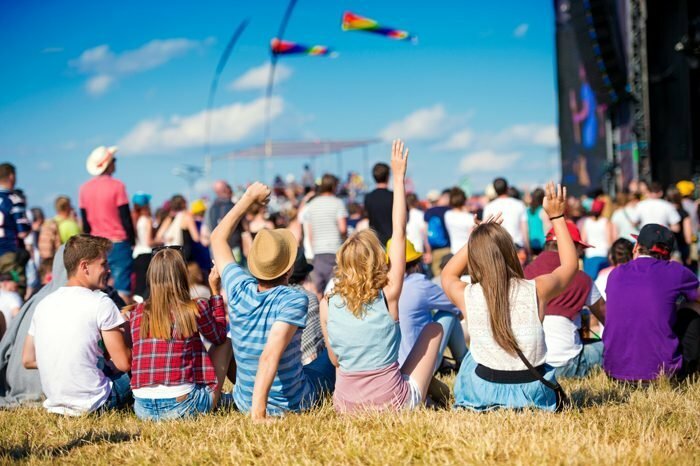 Here at OnBuy, we wanted to find out how much students would spend on music festivals this summer. OnBuy surveyed 2,100 students from 12 different university cities to find out how much they spend on music festivals they wish to attend this year. We asked the students about each expense covering transport, food, camping tents and equipment etc. 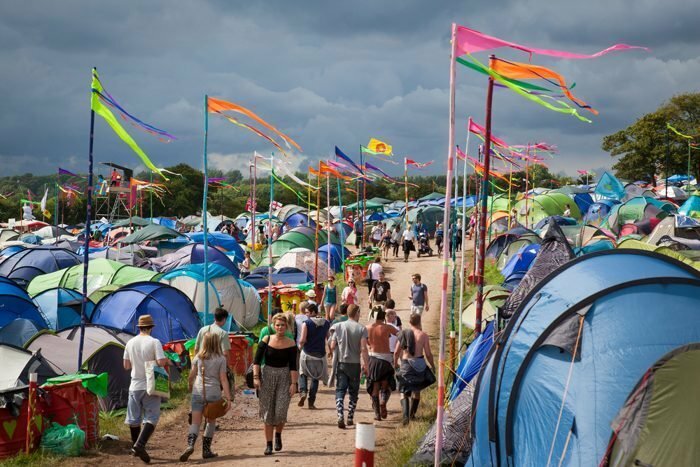 The survey revealed that university students from London will spend the most on music festivals this year, with an average spend of £363.71. London based university students will be closely followed by those in Manchester (£351.46) and then Birmingham (£336.14). On the other end of the scale, university students in Oxford are expected to spend the least on music festivals this year, with an average spend of just £197.34. 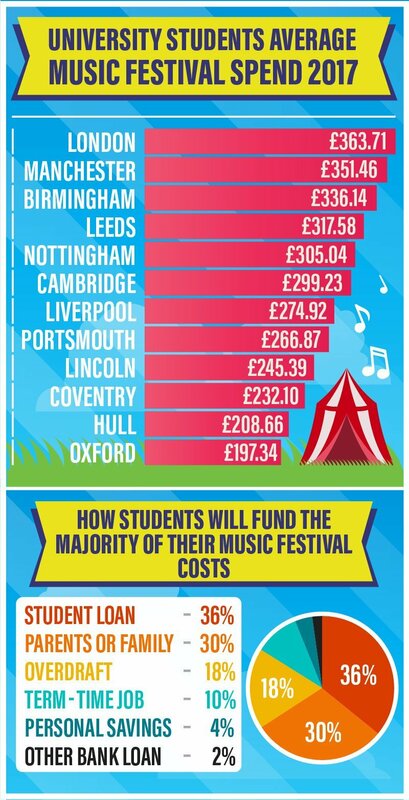 Slightly above those university students in Oxford were those in Hull, who will on average spend £208.66 this festival season. Moreover, the survey astonishingly found that 36% of students already have or will use their university loan to fund attending the music festival(s) of their choice. The second most popular method to fund was to ask their parents or family (30%). 18% of students worryingly stated that they would be using an overdraft. 10% of students commendably said that they have already or are going to fund much of the costs from the income they earnt from their term-time job.